Great, loving the directions this is settling on. ps - Can I just add that the overall look of the 29A was so much more refined than the B (for me) because the minute hand on the A was noticably thinner than the hour hand, but on the larger B version the difference was minimal. I've put it in a few threads over the years... thought you might of got bored of seeing it popping up every now and then. I roll it out about once a year! I think 300 of these would go. I guess that’s a no then! Out of interest, can you get dials and handsets made in smaller quantities or are they a minimum of 300 too? I posted 2 pictures because the first doesn't show the seconds hand counterpoise clearly and the second doesn't show the seconds hand clearly. And if you could do it in 39mm, even better! That is the idea indeed... I think it could be a lot of white dial at 39mm. This would look better smaller in my opinion (and my opinion might not sell watches!). I always thought the 29a case would work perfectly and you'd then cut down on costs as its already designed. Its a simple, elegant look. Are we going to see the watch later this year? I'm keen!! 34mm please, Eddie. 36 at a push. Thanks for considering drilled lugs in the 29a too! Edit: using the 29a case makes perfect sense of course. Unless you want a whole load more hassle! Last edited by lughugger; 16th May 2018 at 18:28. Fixed bars is more in keeping. As above. With all of the "how about this or that" it's becoming a different watch to the original concept. what next a redesign of the PRS-82,if it’s good and it works and it sold out. Agreed!! I'd be happy with another batch of 29a's. Pretty much perfection (if I'm being ultra picky I'd like the second hand a fraction wider). Drilled lugs please! I'd buy another one with 20mm lugs and more strap options straight away. Any chance of changing the crown? Less sharp and maybe a logo? Personally I am delighted about the sapphire crystal and 20mm lugs. It’s like buying an Aston Martin DB5 and putting alloy wheels and a plastic bumper on it. Looks great. Would work well with the same case, caliber and crystal as the upcoming 29-A! 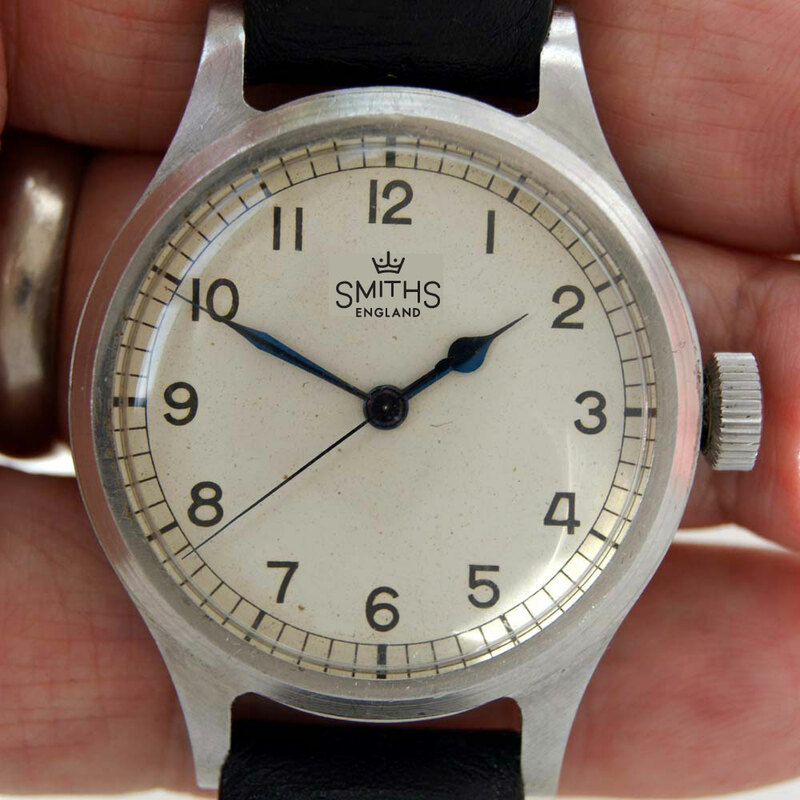 You'd "just" need a new set of blued hands and a lovely white Smiths dial in the supply chain. I know these do not make themselves, of course. And I fully agree that drilled lugs and shoulderless spring bars would make the watches more versatile for most users. Complete with deformed luminous pillows? Both mine have done this. Love it! Is there any way you could make it a full lume dial with non-lumed hands, without losing the aesthetic? Or have lumed blued hands that still look like the originals? Last edited by HappyJack; 19th May 2018 at 00:19. Couldn’t agree more. Drilled lugs and the box sapphire is a big plus on the 29B. All this talk on the 29A prompted me to give mine a wind. Having worn it for a few days I can honestly say it is perfect as it is. For me, no change required. I don't think the 20mm lugs works as well as 18mm overall. The white dial blued hands version is amazing. Can they be properly blued? 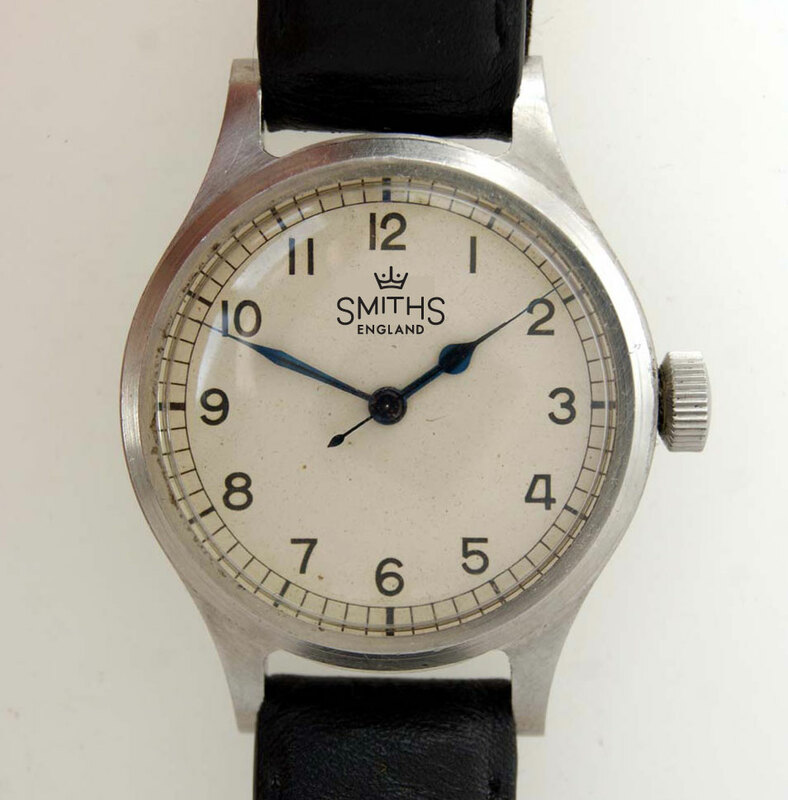 Any chance of a sub seconds dial, or is there no suitable movement? I’d guess that the 29a and the ‘WWW’ would both use the same movement in order to keep costs and order sizing down. Heat blued hands would definitely be preferable! I agree. It’s just perfect as it is. 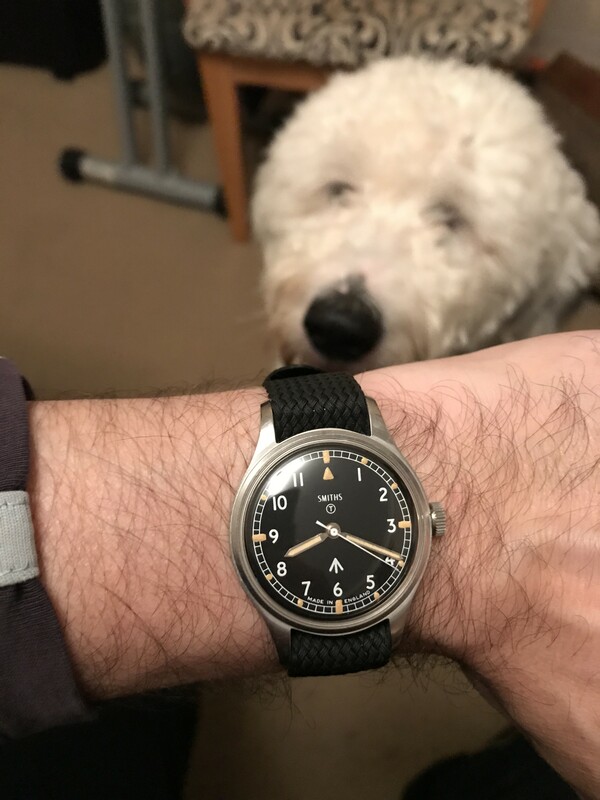 I’m usually one who complains about watches get unnecessarily big, but in this case I’d welcome the 39mm size with drilled lugs as an affordable alternative to the $3000 IWC MK XV I keep hankering after. 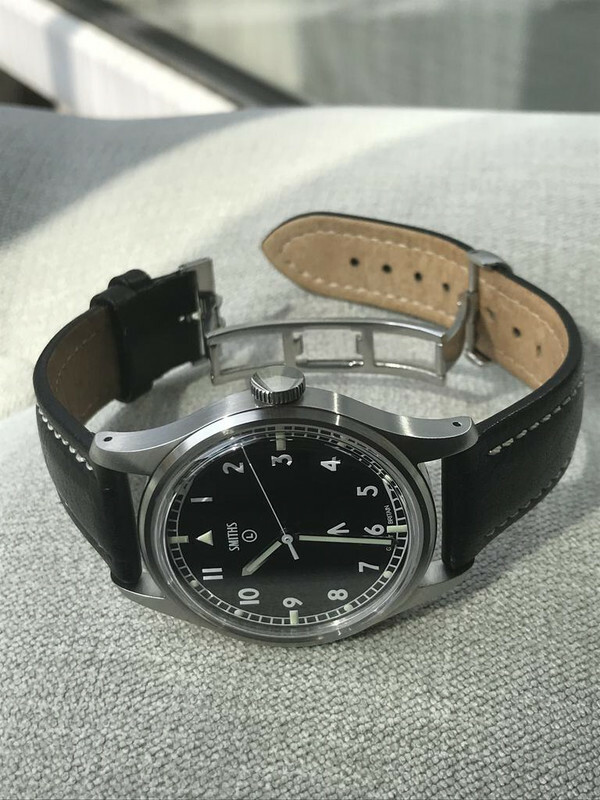 I already have an issued (to me) 1981 Fat Case CWC Navigator, which doesn’t get much use, in part because it’s a little small and can only be worn on a NATO. That’s a major reason I didn’t buy a 29A or 29B. 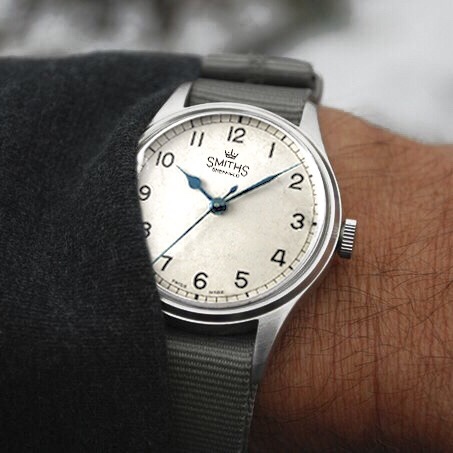 A 6B type would be different from my CWC; with white dial and blue hands (lumed if at all possible) it would be very different - especially with drilled lugs and he ability to wear it on a nice leather strap. And those differences would make it much easier to justify a purchase. I saw this Longines on Instragram over the weekend and it put me in mind of the ‘29c’ again… another mock up with the logo, in an egg shell white (creamy) colour and more of a bright white. I the cream colour is probably close to the new Longines re-issue, white would really make the blue hands pop I’d think. I still think that if you created the PRS-29a or PRS-29c larger than the 36mm they currently are (or might be) it would be to much dial. Lots of empty space... some deigns just can't be scaled up and keep the same proportions (Rolex OP works at 36mm and under, just not right at 39mm to my eye). I say this and I'm wearing the 29b... but the hands have been thickened and proportions slightly enlarged to fill up the space. An egg shell or white dial with heat blued hands would be brilliant. The problem is, finding the Pantone number for a white dial which looks like it's vintage. Pure white would be wrong. Sorry, but the hands on the Longines, though like the original, and not to put too fine a point on it (pun intended) are inelegant and just awful. Compare with the lovely hands on an original 6B/159. When might this be available Eddie? So pleased with my prs-18 cosc. This looks too tempting. Cheers. It's still a project but it could be ready before the end of this year. Think I have found my Christmas present then! Thanks Eddie. Just in time for Christmas; you’ll be a busy old Santa! I found this really nice example of the Omega, and have boosted the blue of the hands to give an idea how they could shine (this was always one of my favourite aspects of the PRS20 when I had it... the case was just to large for me in the end!). This photo shows the nice individual shape of all three hands - much nicer than the Longines. I agree with Eddie, getting the right shade of the dial is tricky: can't be stark white, and then again not to creamy. This gives a good feel of the proportions and then mocked up onto the PRS29 case. Same, I'm not keen on any of these proposed changes. I sold my 29a during a cull some time ago but anyways planned to pick another up. Sounds as though I might have to start lookimg out for a preowned as for me it was just perfect as it was. Looks lovely. I really like the blued hands but also really appreciate lume, and wonder if one can finish the hands with a luminous gloss blue paint. Anyone know anything about this? after seeing these mentioned by someone on here I bought one of the plain ones. NATO to leather in seconds. Last edited by bwest76; 23rd May 2018 at 08:14. 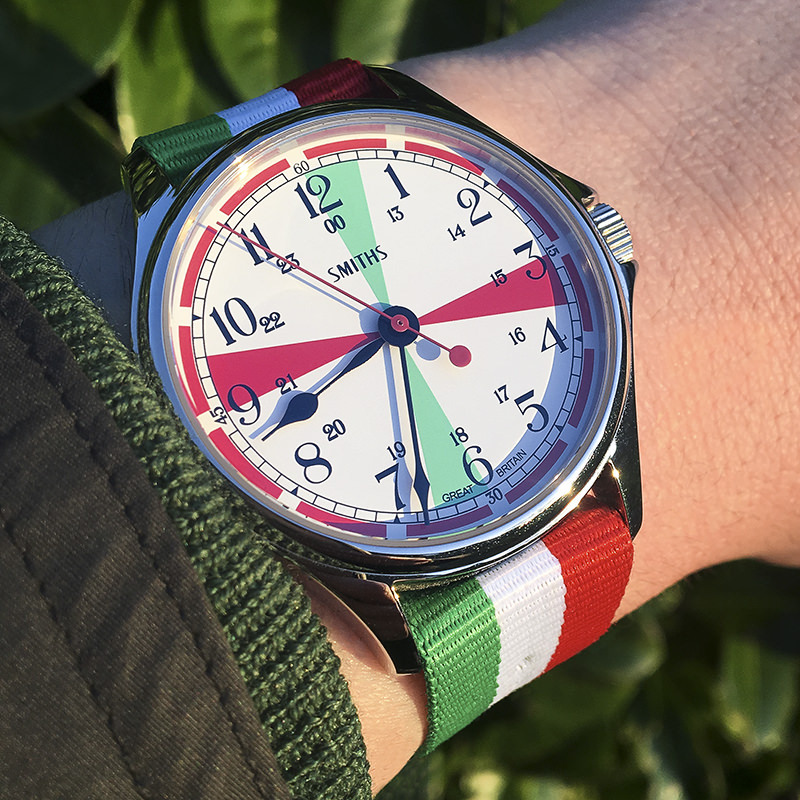 Keep returning to look at this beautiful example... would a more ecru-coloured luminova be considered for the next ‘29? I should imagine it’s easier to get hold of now given the trend for faux-patina (which I do not deride, as some choose to).